Islamabad is the capital of Pakistan. It is an important educational hub of region with various renowned universities. Quaid-e-Azam University is one of them. It is a public sector university situated in the territory of city in the mid of margalla hills. Quaid-i-Azam University is one of the famous institutes because of its illuminates, affiliated facilities and research institutes. It is ranked amount top 10 universities in Pakistan. This esteemed institute also made its place in Quacquarelli Symonds ranking of 2013 for the top 500 universities in the world. Once known as Islamabad university, Quaid-e-Azam University came into existence in the year 1967 under the act of national assembly. Overall more than 5000 students are currently enrolled in different programs including research programs for PhD and MPhil degrees. Firstly it offered only research programs and doctorate degrees but with the passage of time university decided to offer Master’s and Bachelor’s degrees. The scholars of this prestigious institute have played a vital role in different fields of academia, social work, research and applied sciences. It is the repute of university which not only attracts students from every corner of the country but also foreign students. It has systematic admission criteria from different regions of the country as it is a federal public sector university. Covering area of 1700 acres in the lush green margalla hills university is renowned for its higher technical advancement and intellectual iteration with a linkage with different international institutes around the globe. There are various links with universities in Europe, Asia and United States of America. It has also collaborations with UNESCO and IRSIP. Its respected faculty members are working in many international universities like cambridge, oxford and heidelberg. Quaid-i-Azam University consists of four major faculties and many departments associated with these major faculties. Is is ranked as one of the top 10 Asian universities by QS in natural sciences category for the year 2010. It was also ranked between 100-200 among QS world top universities in the year 2007 and 2009. Pakistan higher education commission ranked first in general category. 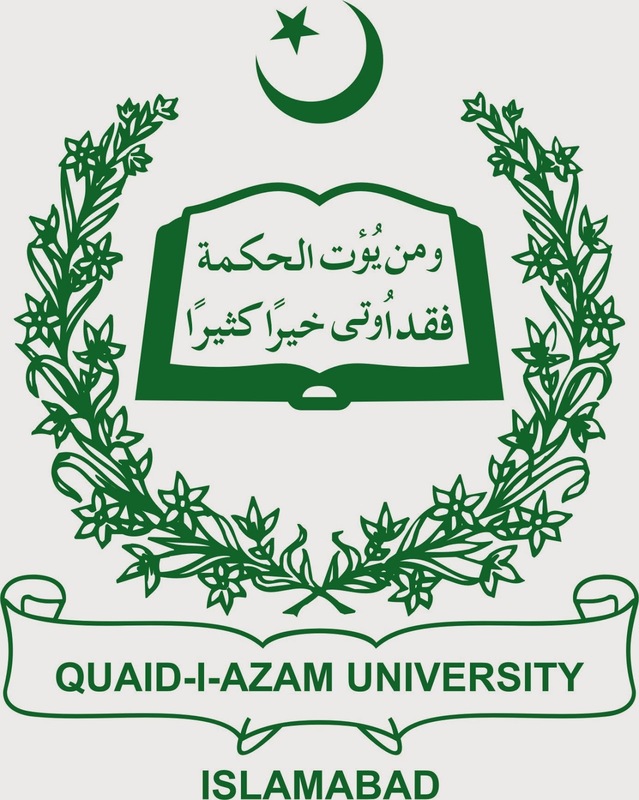 This prestigious record makes Quaid-e-Azam one of the most reputed institute of the region having more than 80 % faculty members with overseas experience. There are number of services offered by university to its students. Facilities include highly equipped class rooms, very advanced labs and libraries with modern support system. There are separate hostels for the male and female students. Other facilities include play fields, sports, transportation, mosque, bank, shops, post office, photo copy shop, canteen, stationary shop and cafe. Our government must pay attention to upgrade and facilitate these well knows institutes along with laying the foundation of new institute as well.